After securing their place in the knockout rounds of the UEFA Europa League on Thursday, Borussia Dortmund’s attentions now turn to the biggest game of the domestic season so far: the Revierderby at home to bitter rivals FC Schalke 04. 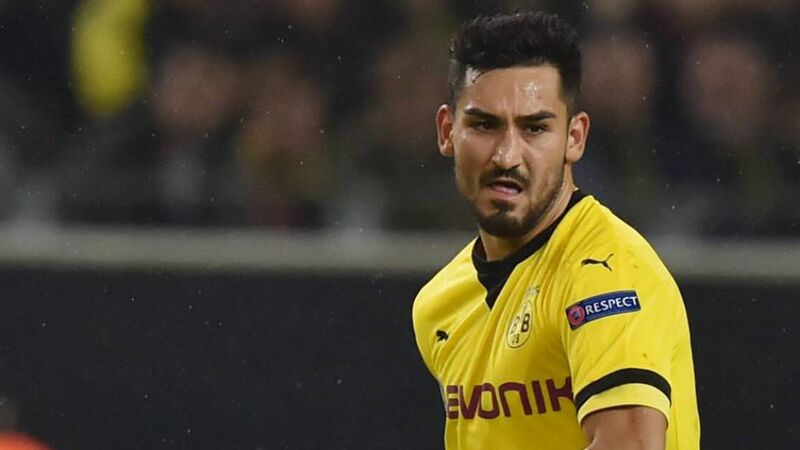 Speaking after the 4-0 win over Qäbälä FK, Germany international midfielder Ilkay Gündogan gave his thoughts on Borussia’s qualification for the last 32 ahead of time and Sunday’s showdown against the Royal Blues. Ilkay Gündogan, you’ve now reached the next round of the Europa League with two games to spare. Was it difficult to yet again put in such a convincing performance in this match? Ilkay Gündogan: We didn’t start the game well and didn’t have much rhythm to our passing. At the end of the first half we improved and out of three or four chances we managed to score twice. In the second half we then took control of the game really well. It wasn’t spectacular, but the important thing was to win and we managed to do that. How important is it to have qualified for the knockout stages in such good time? Gündogan: It’s definitely a big positive that we’ve got through the group. To finish top now would be fantastic, and that should be our target. Then we can be really happy with how the group stage will have gone as a whole. You could sense in this game the anticipation of the fans ahead of the derby. How much is derby fever gripping you right now? Gündogan: Everyone knows what the game means to the region, the two clubs and the supporters. It’s not my first derby, so I know what to expect. We’re all really looking forward to it and the anticipation is building. We’ve been in really good form recently and the derby comes at the perfect time for us. We’ll have two days' training and then we’ll be ready for the big match. BVB will be favourites going into the game. Is that an advantage or could it work against you? It wont be the first time that we’ve been favourites heading into a derby game. But it’s in exactly these types of matches where you’re the favourite that things can change very quickly, so it’ll be really important that we give absolutely everything on Sunday and play the game with our hearts on our sleeves. How do you see the game going and what type of match are you expecting? Gündogan: We want to leave our mark on the game. We have a way of playing that’s working really well at the moment, and we know what we have to do. We don’t need to change much in our game; at most we just need to tighten a few things here and there to be able to produce another top-quality performance. That’s what we’ll be looking to do, and I think we’ll end up winners on Sunday. How big a blow would it be if Marco Reus were to miss out [after being substituted with a groin complaint against Qäbäla]? Gündogan: I don’t know the extent of his injury yet. If he does miss the derby, it’ll obviously be a big blow. Marco’s massively important for us and he’s shown that in the last few matches. I’ll cross my fingers for him – and us – that he’s fit for Sunday.